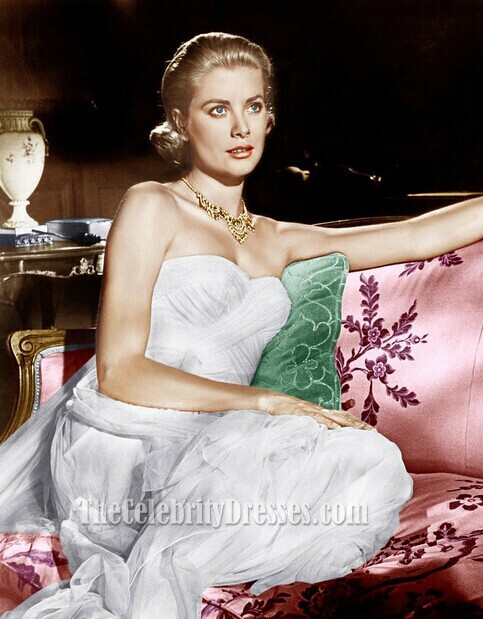 Grace Kelly was in this white dress in the Movie to Catch A Thief. This celebrity dress from the Movie is classic and event appropriate. A: Hello , We are sorry we haven't taken any pictures of this dress yet. As most of the dresses in our collection are made identical to the originals we normally don't take more pictures of the dresses.It will take about 3 weeks to arrive.Thank you for your interest! Q: Hi, I was wondering if the "as in picture' colour option is the same as white? Or are they different shades? A: Dear Lily, Yes "as in picture' colour option is the same as white.Thank you for your question. Q: Hello, I am interested in buying this dress and I would really appreciate an actual photo of it. Thank you so much! A: Dear Siobhan, We are sorry we haven't taken any pictures of this dress yet. As most of the dresses in our collection are made identical to the originals we normally don't take more pictures of the dresses. Thank you for your interest! Q: hey there, just wondering for some more shots of the dress? A: Dear Lily, Sorry we don't have more pictures of the dress.As most of the dresses in our collection are made identical to the originals we normally don't take more pictures of the dresses. Thank you for your interest! A: Dear Emma , We are sorry we haven't taken any pictures of this dress yet. As most of the dresses in our collection are made identical to the originals we normally don't take more pictures of the dresses. Thank you for your interest! A: Dear Liza, We have sent the pictures to your email.Please check them.Thank you for contacting us! Q: Hey, can you send me a photo of the replica if possible?Thank you! I am absolutely in awe right now. For one, my dress shipped in one WEEK. ONE WEEK. That's absolutely amazing for dresses to be shipped so fast. And the quality is drop dead gorgeous. I custom ordered by dress to be in a burgundy color and the color and material are so legit and rich. I ordered this dress for my prom on February 22nd and every single one of my friends are asking where I got my dress! I always refer them to this site and I will definitely be ordering from here again for my senior ball and senior graduation in the year to come. THANK YOU AGAIN TO EVERYBODY AT THE CELEBRITY DRESSES. YOU MADE SUCH A HARD TASK OF FINDING AND BUYING A PROM DRESS ABSOLUTELY EASY AND PERFECT. 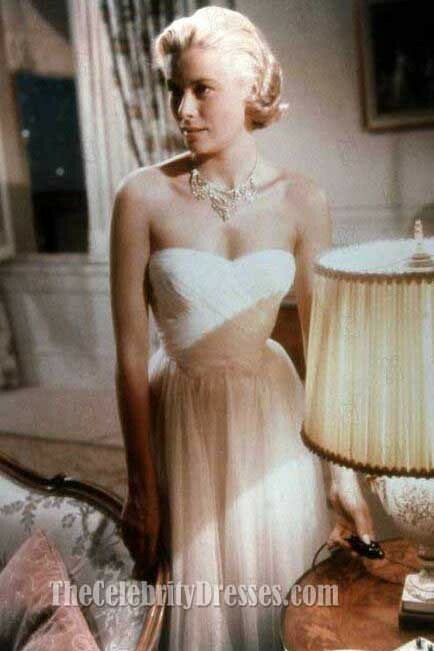 As I'm going to be Grace Kelly for Halloween this year, I was thrilled to find this dress available and was very impressed with the quality and detail when I received it. A beautiful creation that I am happy to have in my closet for fancy events in the future. So I just received this dress and to my surprise it was a totally different shade of blue that I originally wanted. I thought I chose a dark navy and instead I got a more of a royal blue shade. But as soon as I put it on, my mind changed. I loved the way it hugged my body! It only took about 4 weeks to get to me! And the online support people were very helpful answering my every question. Thank you The Celebrity Dresses!